Working With Sheryl–BIG NEWS!! I AM PLEASED TO ANNOUNCE THAT I HAVE JOINED THE LESLIE MCDONNELL TEAM AT REMAX SUBURBAN IN LIBERTYVILLE! THIS SITE WILL SOON BE SHUT DOWN. GOING FORWARD, YOU MAY CONTACT ME AT: SHERYL@LISTINGSBYLESLIE.COM OR ON MY CELL AT 847-456-4938! THANK YOU AS ALWAYS FOR YOUR CONTINUED BUSINESS. I VALUE EACH AND EVERY ONE OF MY CLIENTS! 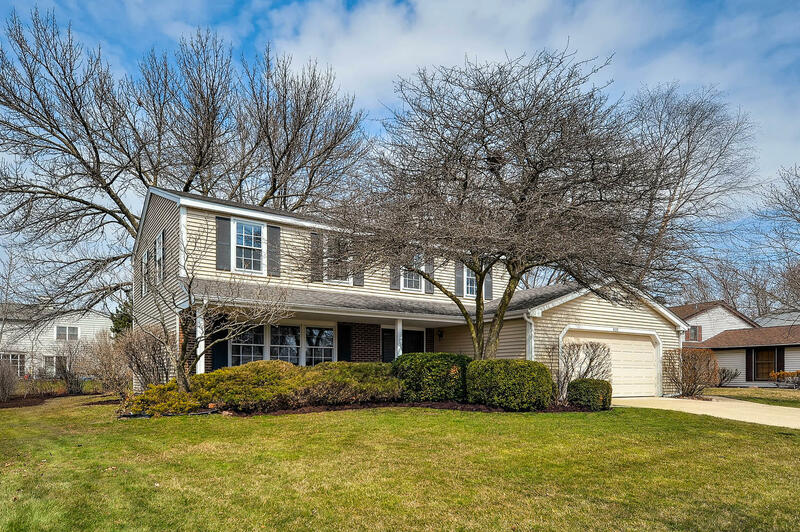 Property Information for 830 Stonebridge, Buffalo Grove, IL 60089-$349,900-UNDER CONTRACT! Freshly Painted and recently updated! Lovingly cared for by only 1 owner. This Charmer is MOVE IN READY! Updated Kitchen with Granite, Quartz, Stainless Appliances, subway tile backsplash and White Cabinetry with soft close drawers! Kitchen is OPEN to family room for ease of entertaining. Check out the beautiful built ins around the Masonry fireplace with gas logs! Living room is spacious, boasts a built in buffet and is open to the dining room! New floors and carpeting throughout the house. Master bedroom has a beamed ceiling and a dressing area with two closets, an is convenient to your private master bath. 3 other nice sized bedrooms on 2nd floor, each with hardwood floors. This house has tons of storage! Sliders from the family room lead you to your brick paver patio. The yard is beautifully landscaped with perennial gardens, and almost completely fenced in! Previous Entry:Property Information for 338 Ames Street, LIBERTYVILLE, Illinois-UNDER CONTRACT! Next Entry:Property Information for 133 W Lincoln, Libertyville, IL $429,900-UNDER CONTRACT IN 3 DAYS! I am so happy to help my clients navigate through the home selling and buying process. My 20 plus years of experience in real estate and new construction enables me to provide a stress free and enjoyable experience for clients, whether they are first timers or empty nesters. I offer superior service with 24/7 availability. Nothing says Christmas more than a cup of morning coffee in your Naughty cup! Happy clients make me happy! Secret Tiki Bar pit stop between the wedding and reception!